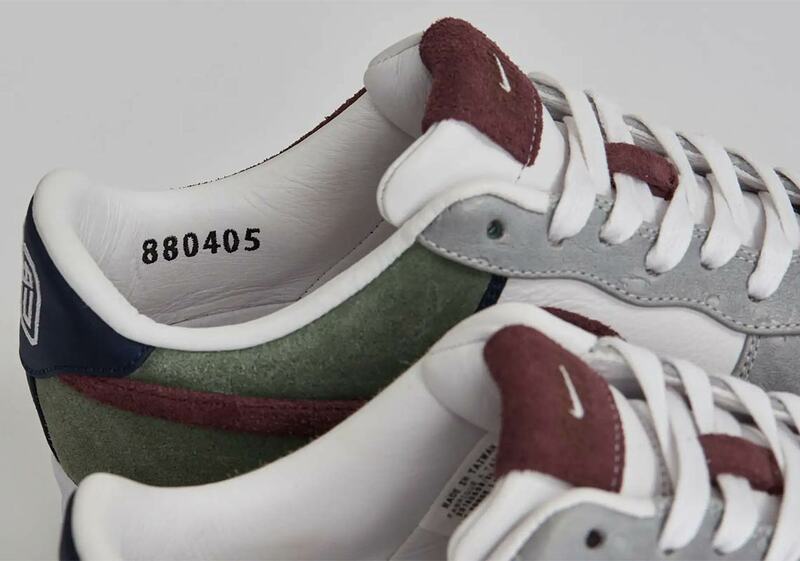 Sneakersnstuff has grown to become one of the most well-known and highly regarded boutiques in the world of sneakers today, boasting luxurious locations in New York, London, and Stockholm. However, like so many other esteemed businesses, they came from humble beginnings. 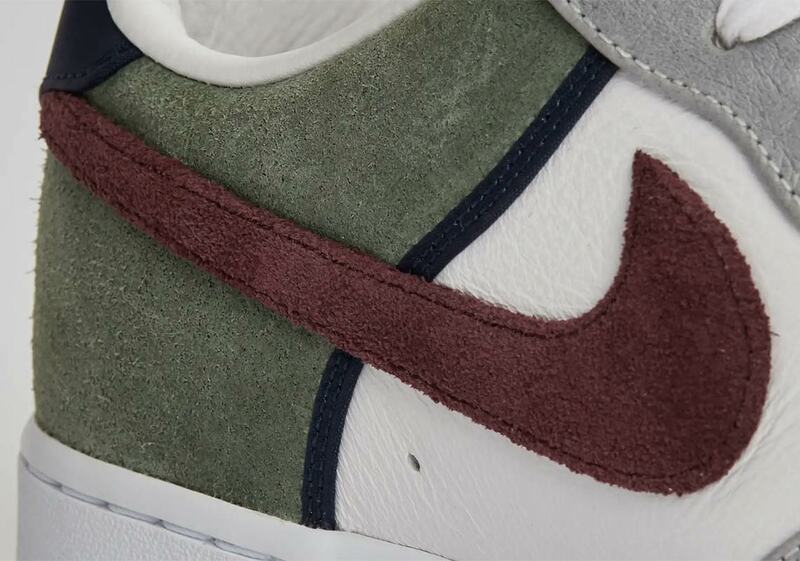 When they opened their first Stockholm store at Åsögatan 124 in March of 1999, one of their earliest espouses was a Nike Sweden employee by the name of Magnus Frykfeldt — who helped them launch their Nike account. 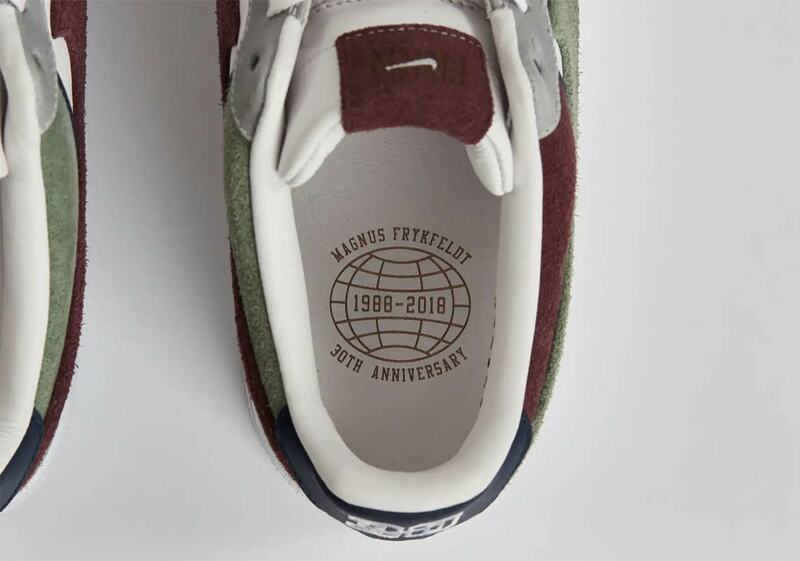 Now, two decades later, with SNS firmly established in the pantheon of footwear culture, they’re paying homage to their old friend and his 30th anniversary at Nike the best way they know how: with a special Air Force 1. Inspired by a picture of Frykefeldt and his colleagues (he’s the tall one in the back), the shoe calls upon luxurious green, navy, and burgundy accents over a white leather base, all rounded off by grey ostrich leather overlays. 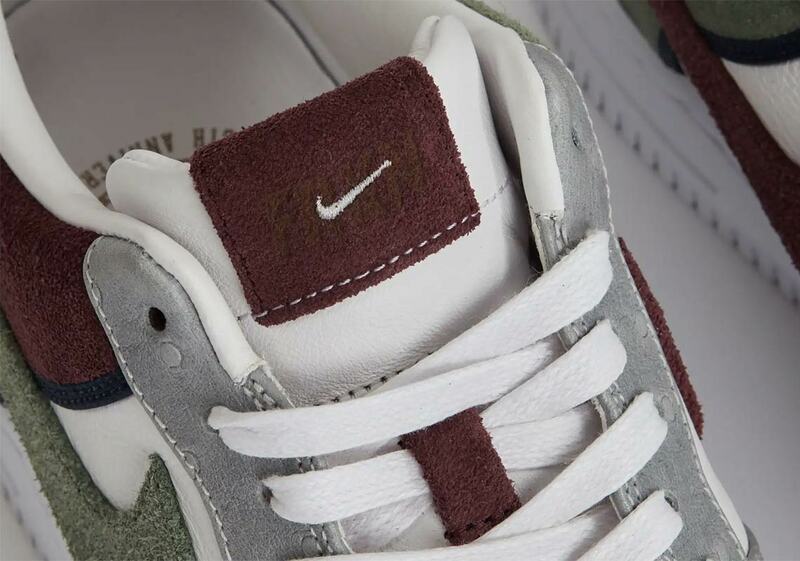 “Fryken” — as he’s affectionately known — then serves as the inspiration for all the shoe’s details: a globe graphic commemorating his 30 years with the Swoosh appears on both the insole and lateral heel, while the lace deubres swap out their normal “AF-1 82” embellishment for a clever “MF-1 88” hit. The shoes will never release as they’re a 1-of-1 created for Frykfeldt himself. 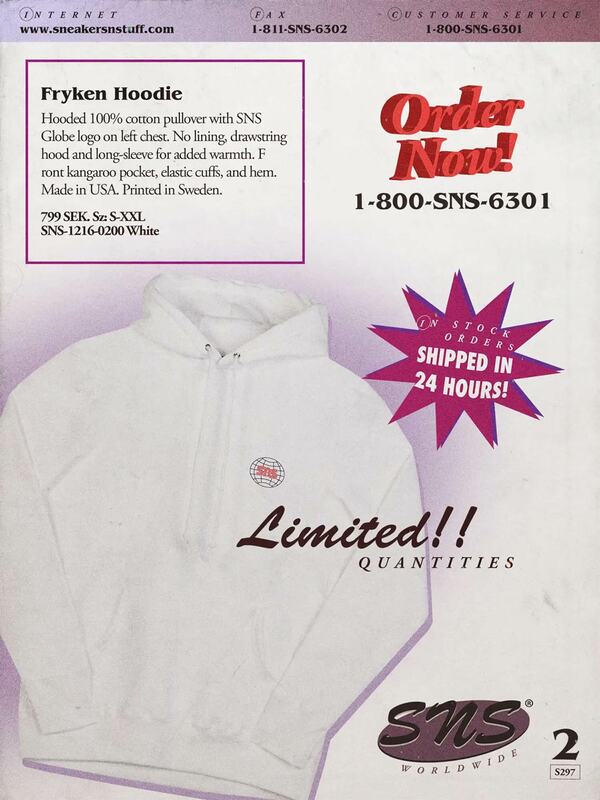 However, SNS has dropped a special capsule of apparel inspired by the throwback Nike gear worn in the aforementioned photo. 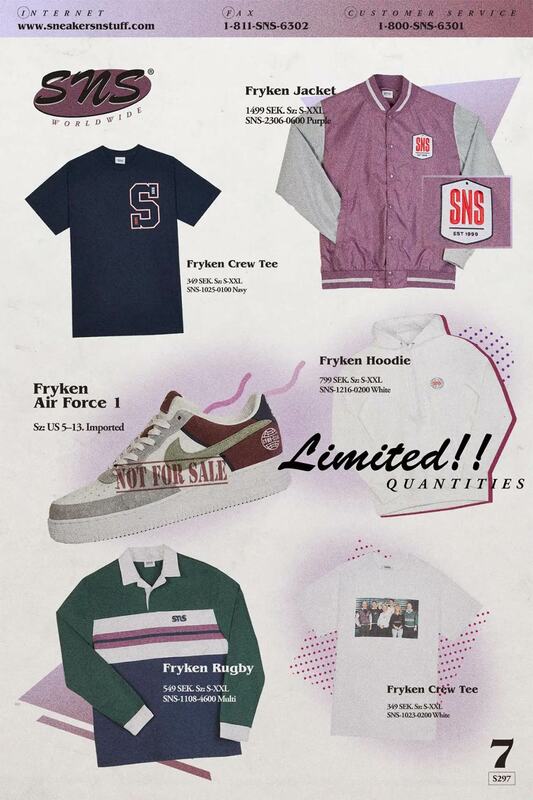 All the apparel featured in the photo of Frykfeldt and his coworkers was produced by Nike Sweden — and exclusively sold in Scandinavia during the ’90s — so SNS revived the regional retro stylings for their capsule. 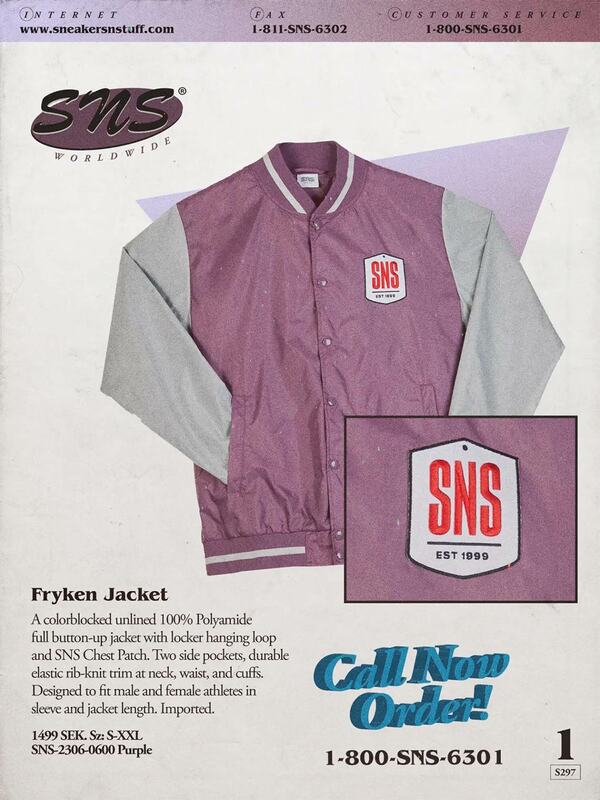 Consisting of two tees, a rugby, a hoodie, and a jacket, the apparel is available now at Sneakersnstuff for $39-$149. Check out the AF1s, gear, and original photo below, then head over to SNS for even more details. 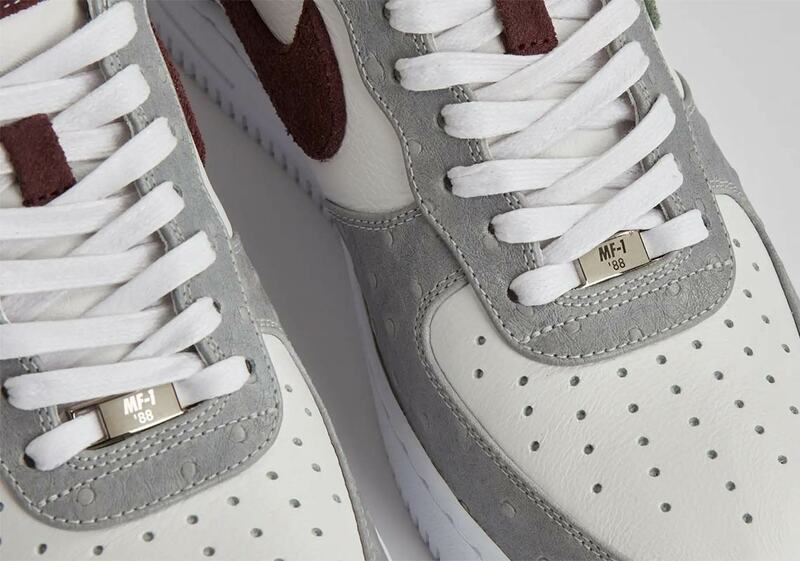 The post Sneakersnstuff Honors A Longtime Nike Employee With 1-of-1 Air Force 1s appeared first on Sneaker News.